Now in its 6th year, the SSgt Javier Ortiz Memorial 5k Race & fitness Walk has continued to be supported and appreciated by our community. We are grateful for our community's participation and support in this event, as it shows remarkable commitment to family health and well being. 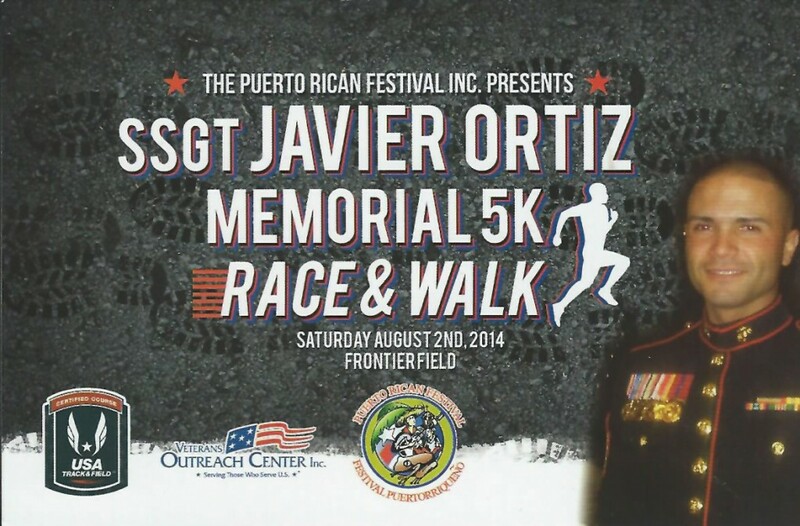 In 2011, the race was renamed to the SSgt Javier Ortiz Memorial 5k Race & Fitness Walk to honor a local fallen Marine. SSgt Javier Ortiz was a participant in the first annual race, and we are fortunate to have the opportunity to honor his memory each year. Javier represents all of the fallen soldiers who have paid the ultimate sacrifice defending our Freedom. Javier also brings to light the contribution of Latino Soldiers who have defended America in all of its worldwide conflicts for many years. Come hear the amazing story of this young fallen hero and how you can support a very worthy cause that continues to support all of our present and past heroes.